I recently posted a bunch of cartoons about the Supreme Court’s shameful Obamacare decision (which was terrible, but probably not as awful as the Kelo decision). Most of those cartoons, as well as the ones I posted here, focused on how Chief Justice Roberts put politics above the Constitution, but let’s return today to the broader issue of why Obamacare is bad news. 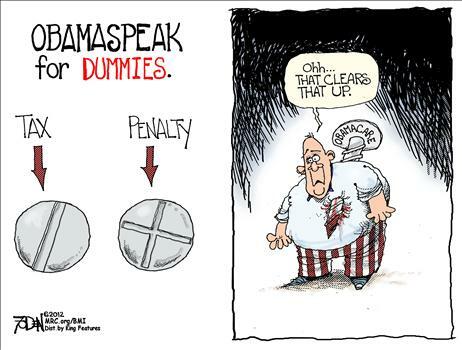 Let’s start with this cartoon, which deals with the pointless and irrelevant debate about whether the Obamacare enforcement mechanism is a tax or a penalty. 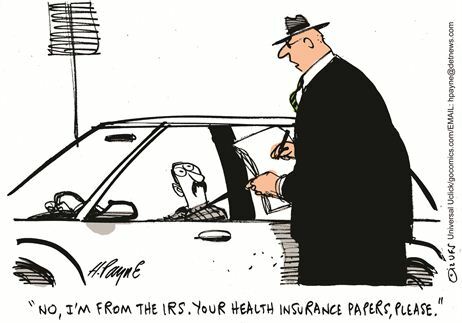 What we do know (and what we knew back when Obamacare was being debated) is that the IRS will be in charge of enforcement, which is what makes this next cartoon funny – albeit in a painful way. 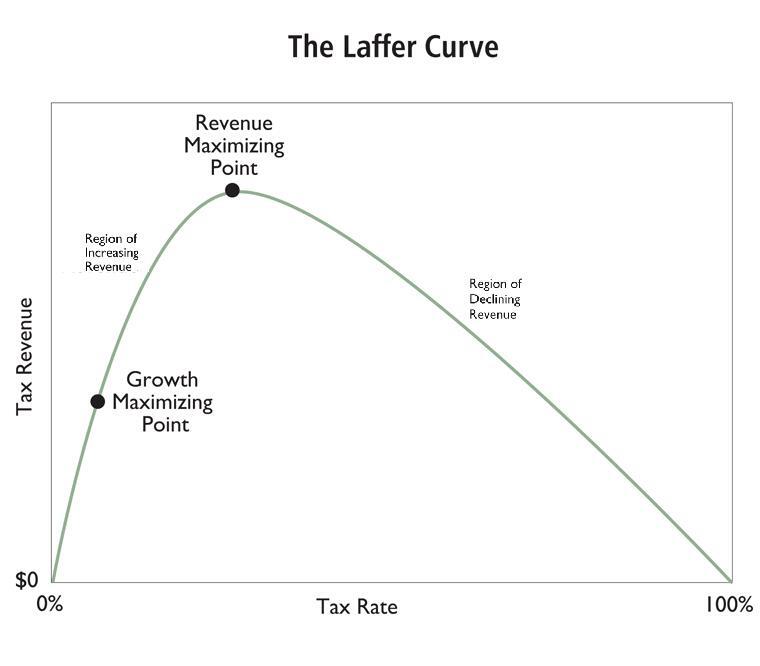 Returning to the debate about taxes or penalties, this cartoon will be very painful for GOP partisans. 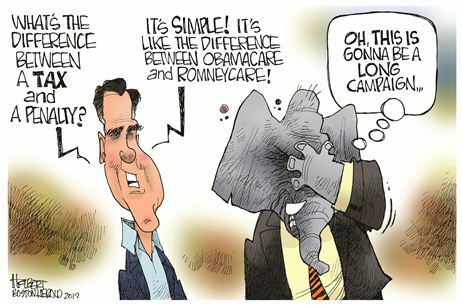 Very appropriate, since this cartoon from back in 2011 shows that there is no meaningful difference between the two plans. And this also explains why I’m still predicting an Obama victory in November, even though his economic record is awful.